What Are the Causes of Sugar Cravings? Sweet-tasting foods are undoubtedly one of life's best simple pleasures. On both physical and emotional levels, sugar is often more satisfying than any of the other types of food. Sugar has the ability to lift energy levels and moods quickly; it even alters brain chemistry and increases your levels of serotonin and endorphins. Since sugar acts quickly, its sudden absence is felt acutely. 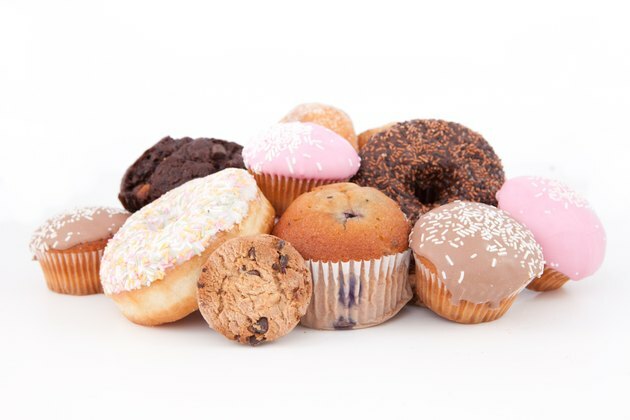 If you are susceptible to sugar cravings, you are compelled by them toward your next sweet treat. The reason sugar elevates serotonin is more a side effect than a direct effect. 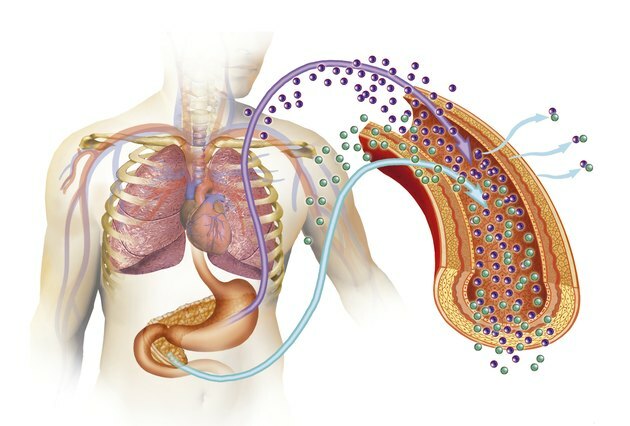 When sugar is consumed, insulin is released and binds with amino acids. Together, they go to muscles. This leaves tryptophan, a small amino acid that normally has competition for transport, a clear path to get into the brain where it is used in the production of serotonin. You make the connection that sugar makes you feel good. Indeed, this is truer for some than others. A January 2009 study in the journal "Eating Behavior" reported an increased intake of sweet foods by overweight individuals when tryptophan levels were depleted. Few things can mess up healthy eating habits faster than a bout of stress, not to mention a lifestyle built around it. The inevitable release of cortisol that accompanies a stress-trigger kicks off a veritable roller coaster of blood sugar highs and lows. To keep energy up, you seek the quickest path to the nearest sweet food. Researchers at the University of Michigan found that sugar craving as much as tripled in response to increased stress hormone levels and concluded that this opens the door to compulsive eating as well as other behaviors, such as taking drugs. Sugar has been found to increase levels of endorphins in the brain and, thereby, have a pain-relieving quality, says researcher Nicole Avena in a study published in 2008, according to the Association for Psychological Science website. 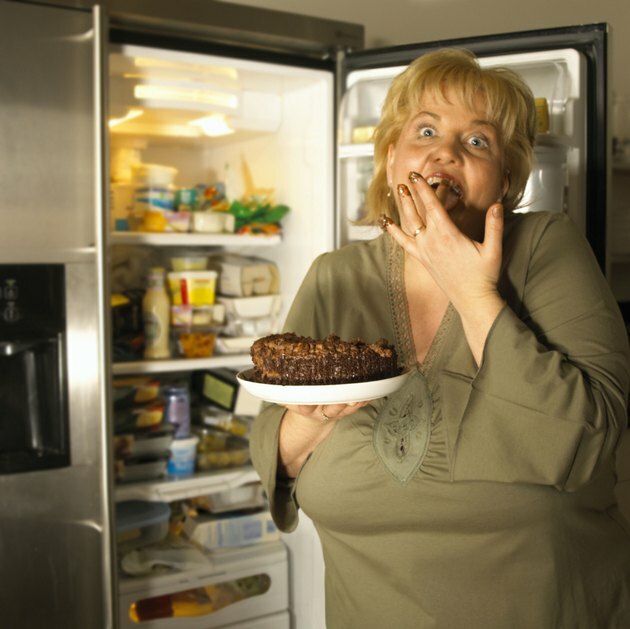 Cravings occur that are not unlike those for other addictive chemicals, notably alcohol. Additionally, many women who experience sugar cravings associated premenstrual syndrome that lead them to indulge chocolate or other sweet cravings are doing so because that is when endorphin levels are at their lowest ebb. Imbalances in the beneficial bacteria that inhabit the intestinal tract can lead to overgrowth of yeast and fungi. These undesirables have high sugar requirements and cause increased sugar cravings in people with yeast and fungal overgrowth. Food allergies and sensitivities can also cause blood sugar imbalances and their attendant sugar cravings. Additionally, the immune response created by consuming allergenic foods causes its own form of immune system-mediated cravings. These digestive system-related sugar cravings can be reduced or eliminated by restoring bacterial balance and avoiding or treating for allergens. Why Does Sugar Make You Hyper? 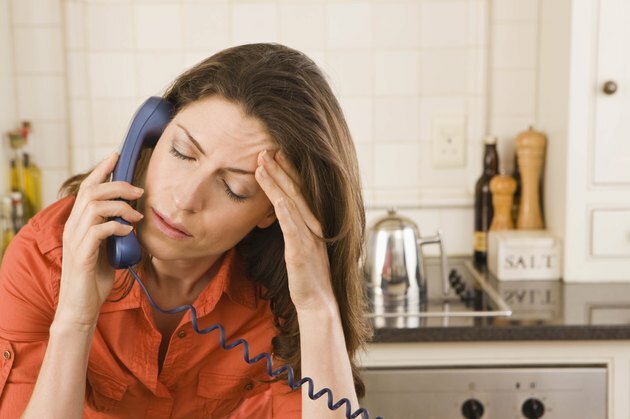 Does Stress Make You Lose Weight?